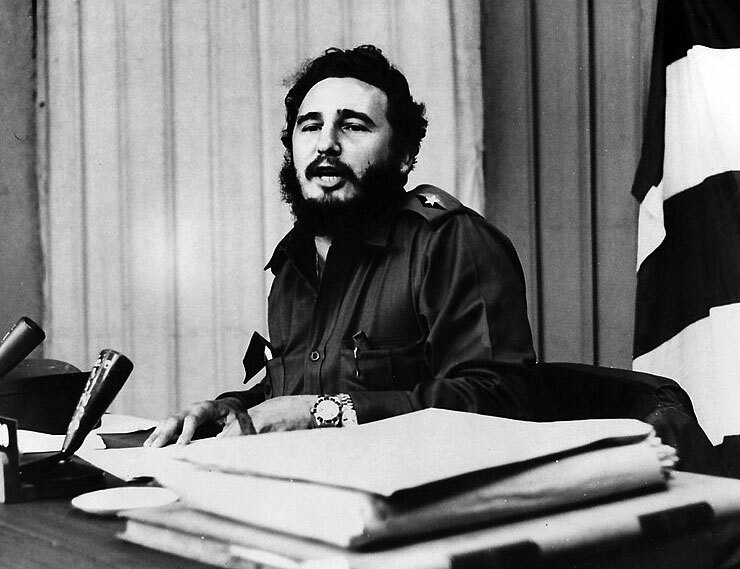 Over the years, I have written extensively about, Fidel Castro and Che Guevara and their Rolex watches. 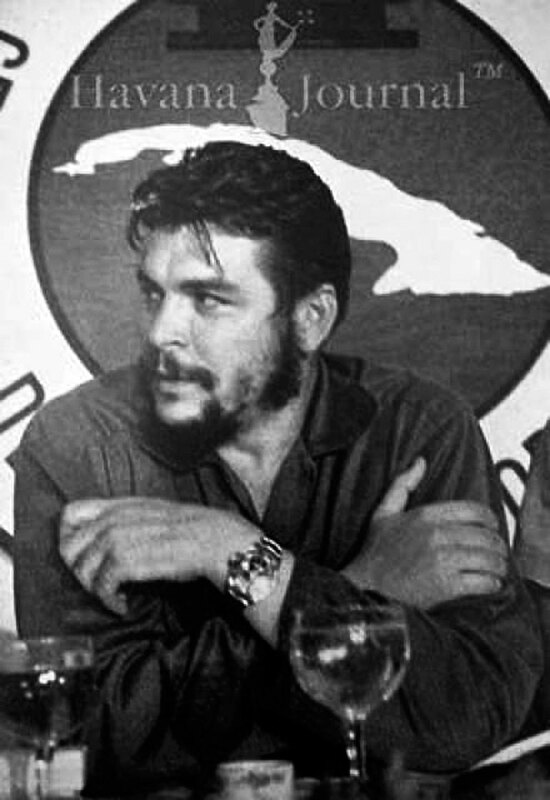 Today, I am really excited to share many new images with you that help put together more pieces of the Fidel Castro and Che Guevara Rolex collection puzzle, and at the same time, I decided to consolidate all Fidel Castro and Che Guevara content into this one story on Jake's Rolex World. 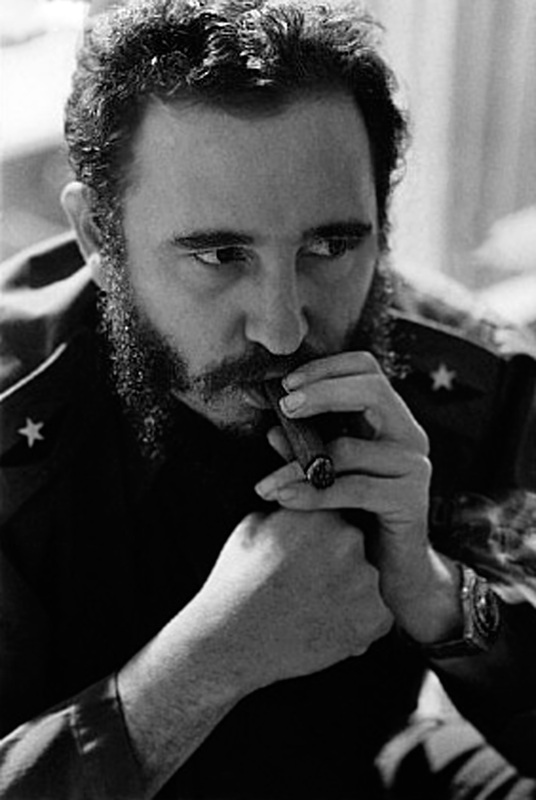 We begin by examining this all-new, stunningly high-resolution image of Fidel Castro. 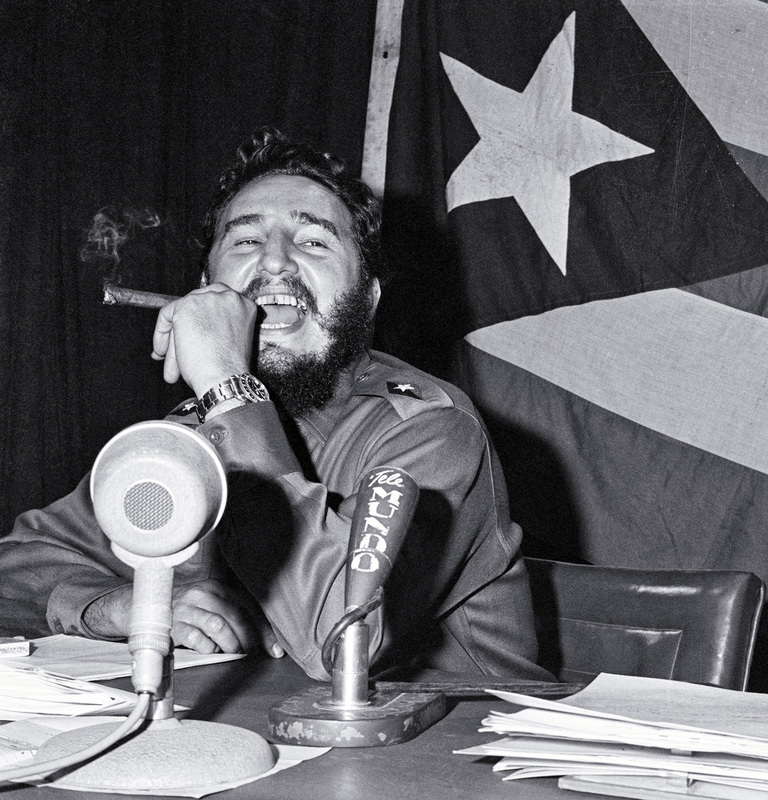 This photo is arguably "The OG G-Money shot" of Fidel Castro. 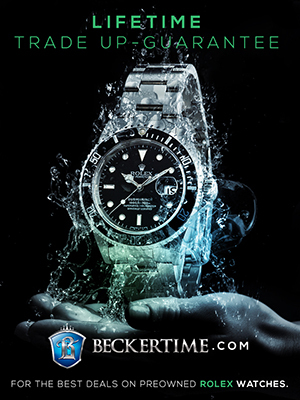 On Jake's Rolex World, we are so used to seeing lower resolution historical photos, that when you see something this high-resolution it almost looks like CGI, but it is real. 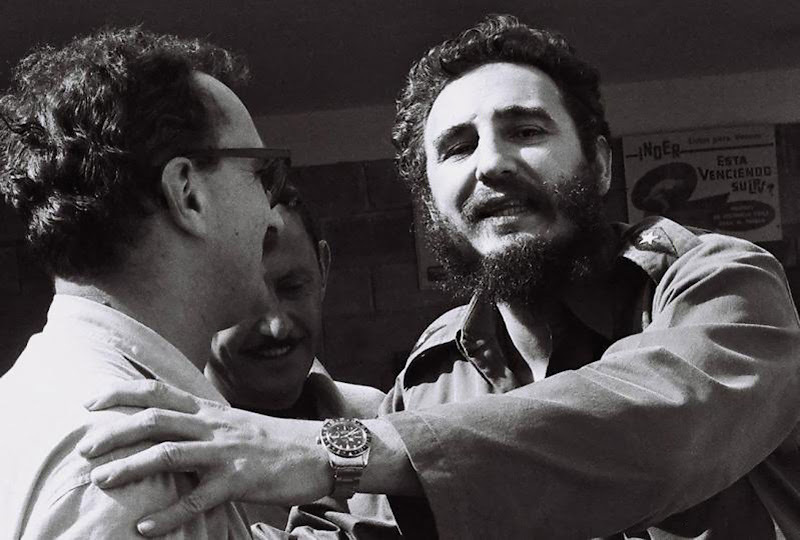 This image is also significant, because as we put together the pieces of the Fidel Castro Rolex puzzle, we learn more about which Rolex watches he wore and when. 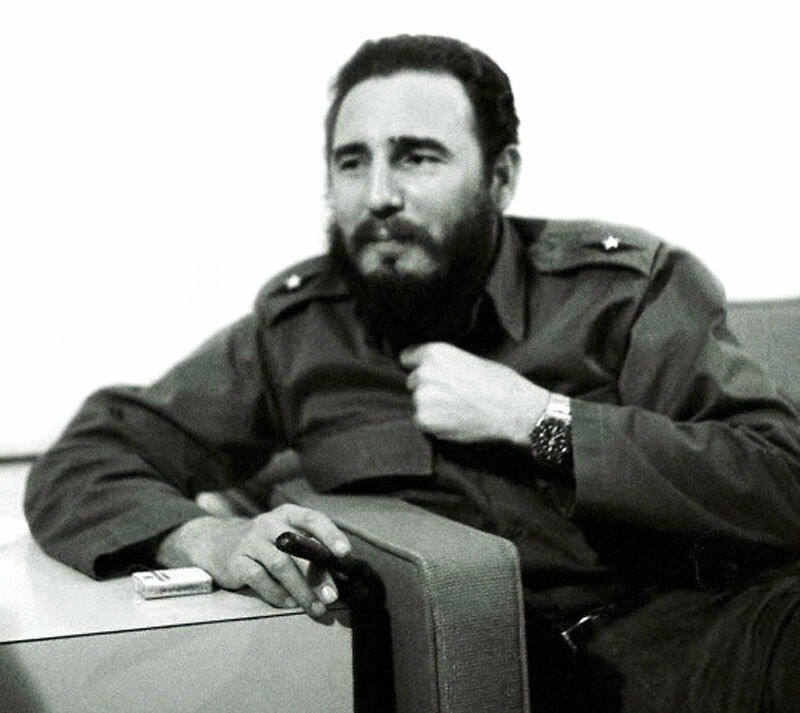 In the past I have published many images of Fidel Castro wearing his Rolex GMT-Master Reference 6542 with no crown guard, but in this image Fidel is clearly wearing a Rolex GMT-Master Reference 1675 with crown guards. 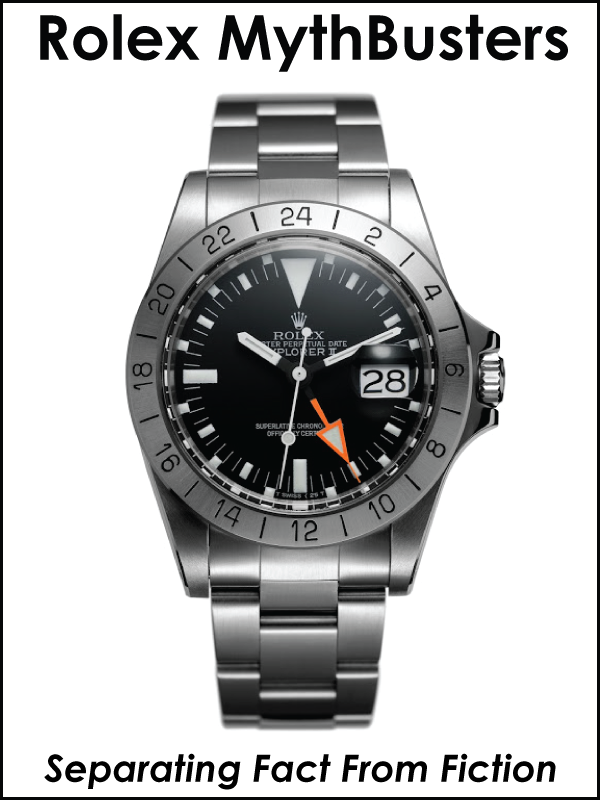 It also has an all-black bezel insert. 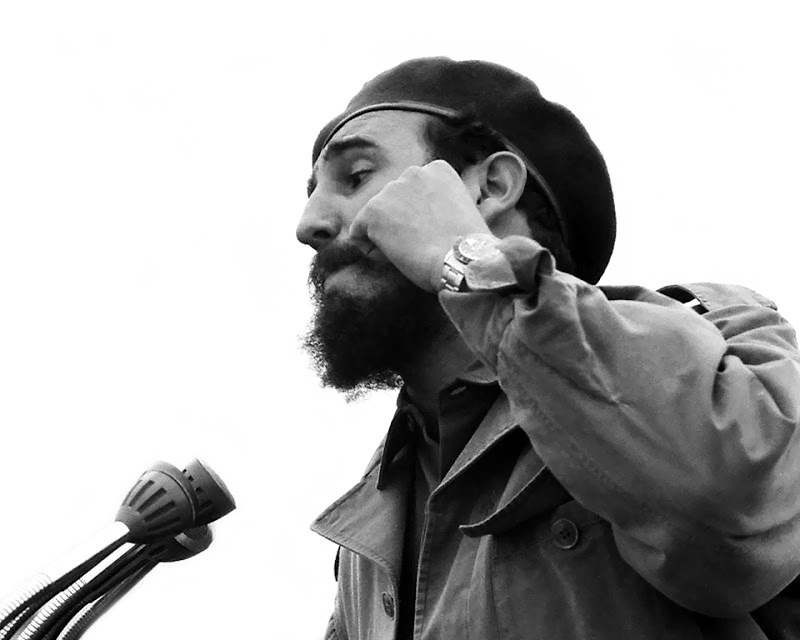 Fidel Castro wore a sport Rolex Submariner when he overthrew dictator Fulgencio Batista during the Cuban Revolution in 1959. 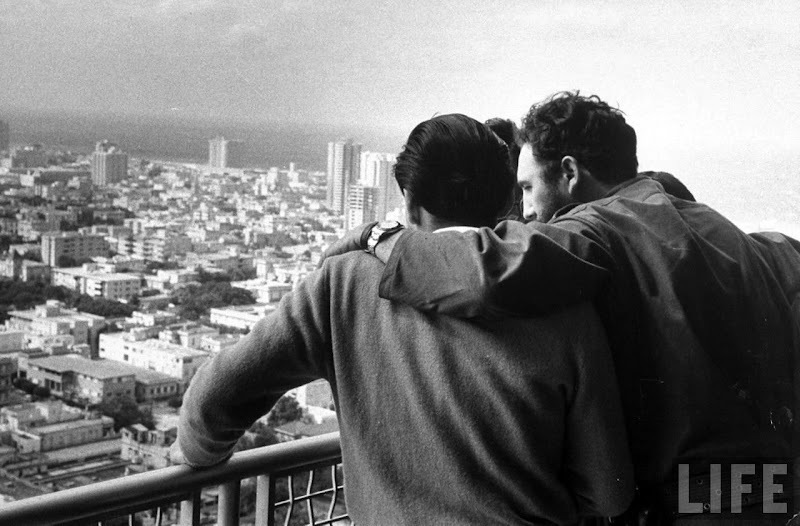 In this first image from the LIFE Magazine archives we see Fidel Castro standing on the balcony of the Hilton Hotel with friends after his triumphant entry into the Havana, Cuba. 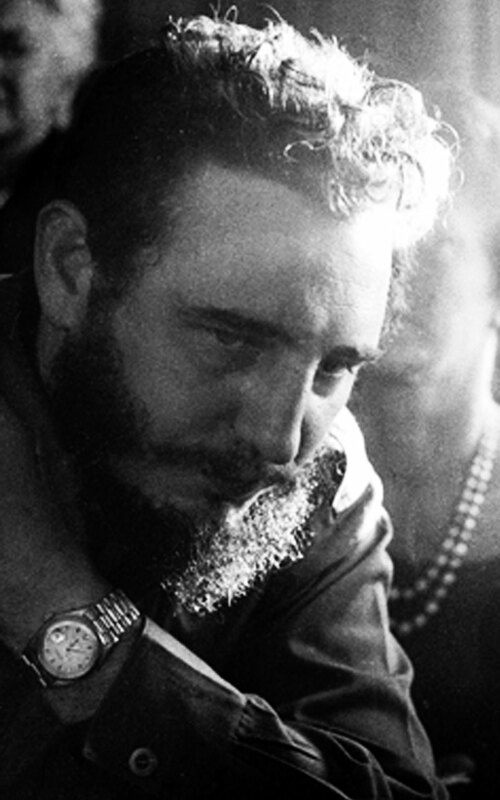 In both the images you clearly see Castro wearing his Rolex and if you click on the images you can see more detail. 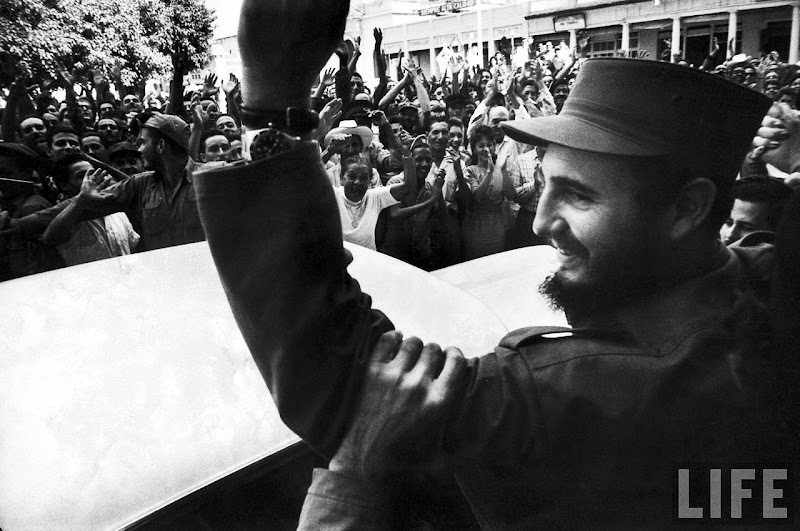 In this next photos of Castro, also taken in 1959 in Cienfuegos, Cuba you see Castro being cheered by crowds on his victorious march to Havana after successfully ousting Batista. 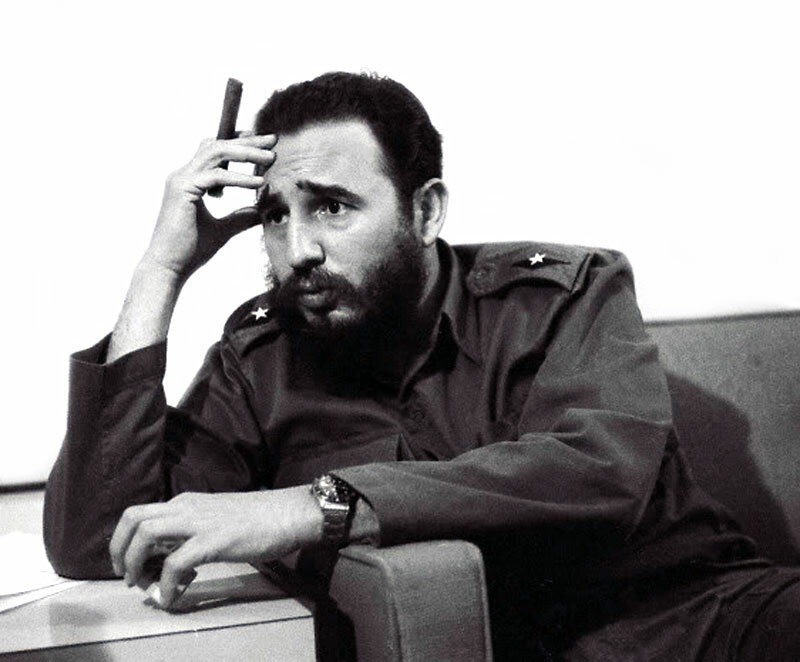 One unanswered question, is what Rolex sport model was Castro wearing when he took Cuba? 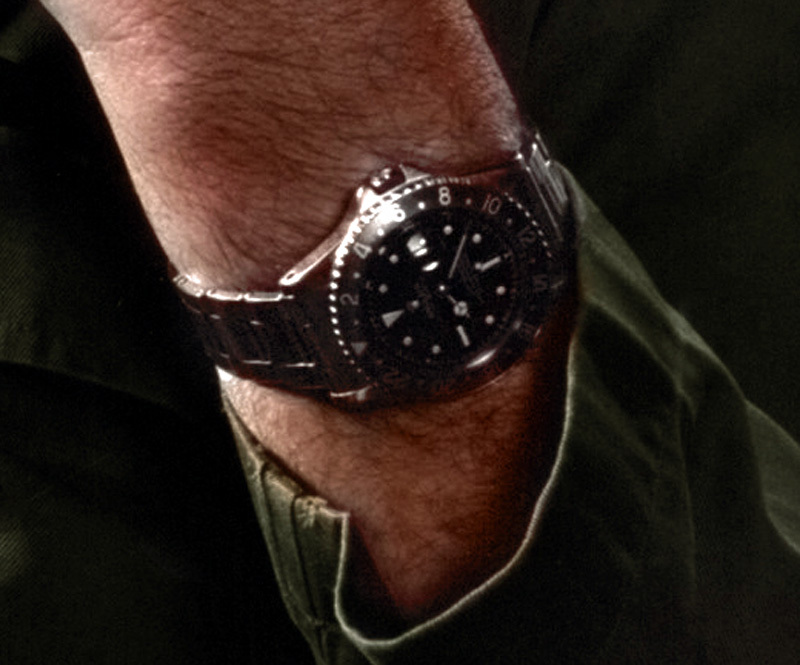 I have spent much time evaluating this image, and it appears to be a Rolex Submariner, but it could also be a GMT-Master. 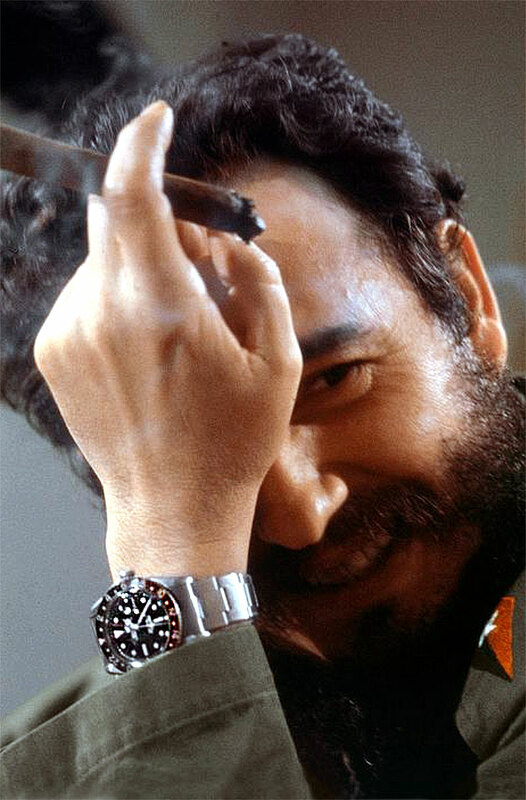 In the images below, we see Fidel Castro wearing a no-crown guard Rolex GMT-Master Reference 6542. 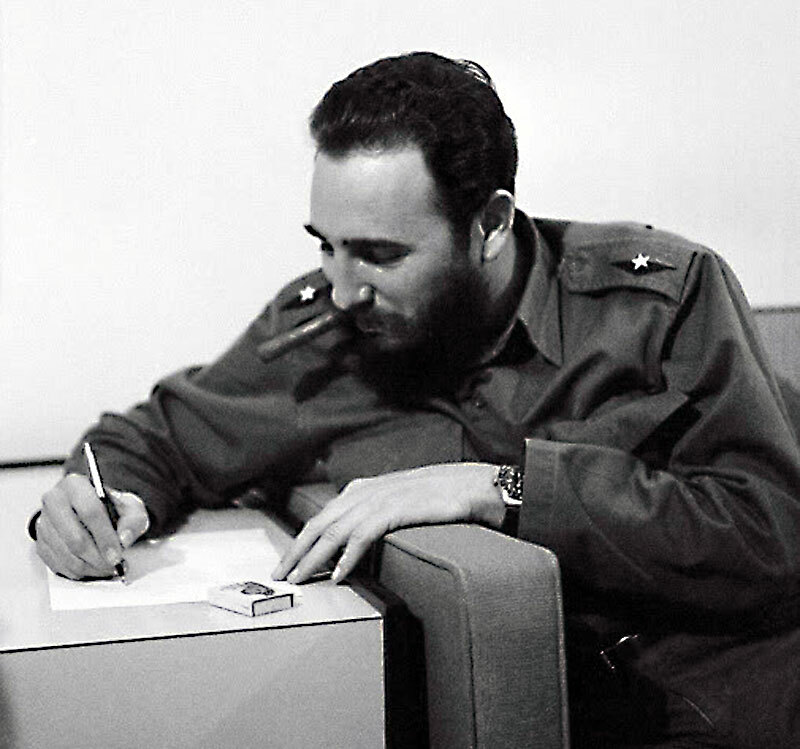 This first image was taken in 1964, and we clearly see Fidel is wearing a "COKE" GMT-Master. 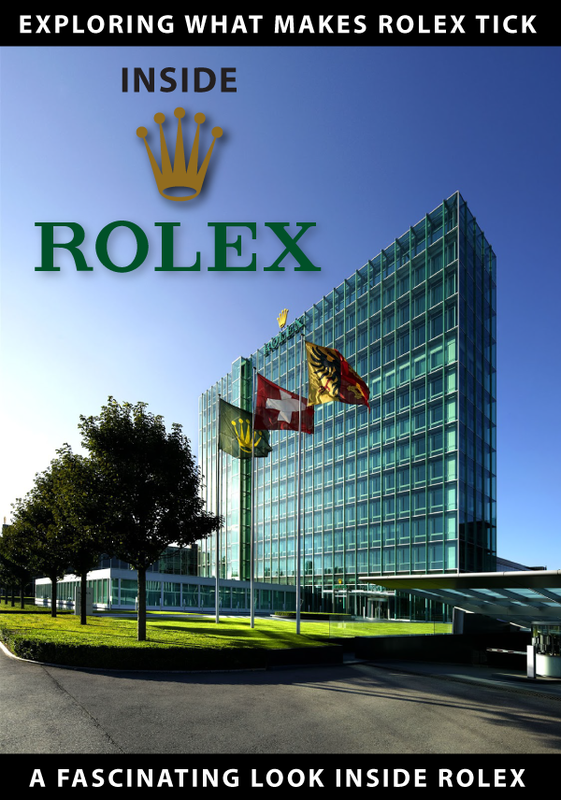 When Castro overthrew Fulgencio Batista on January 1, 1959 in Cuba, Rolex had some kind of headquarters in Cuba. 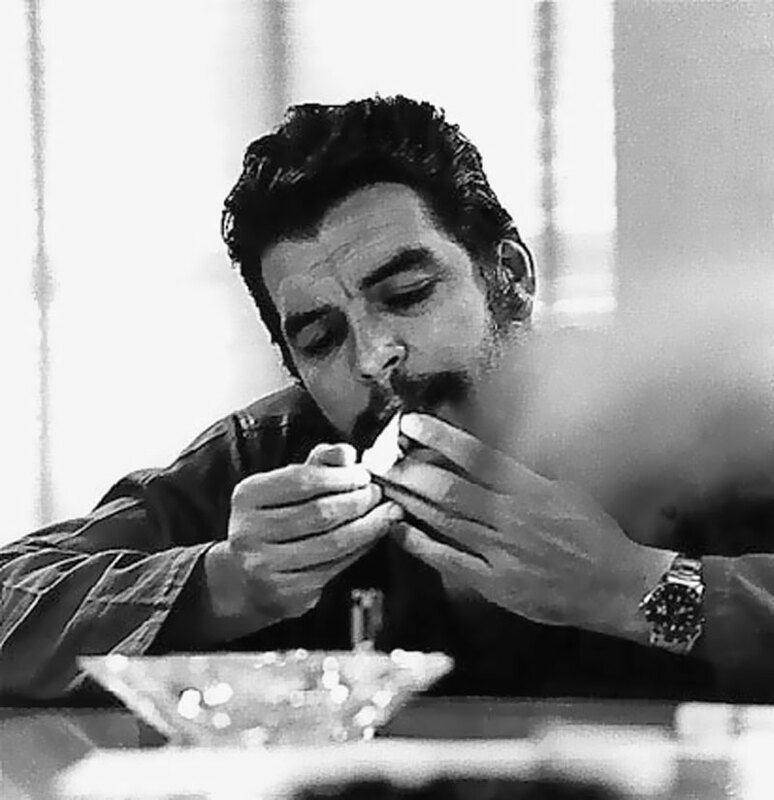 You see "Habana" on many magazine ads prior to 1959. 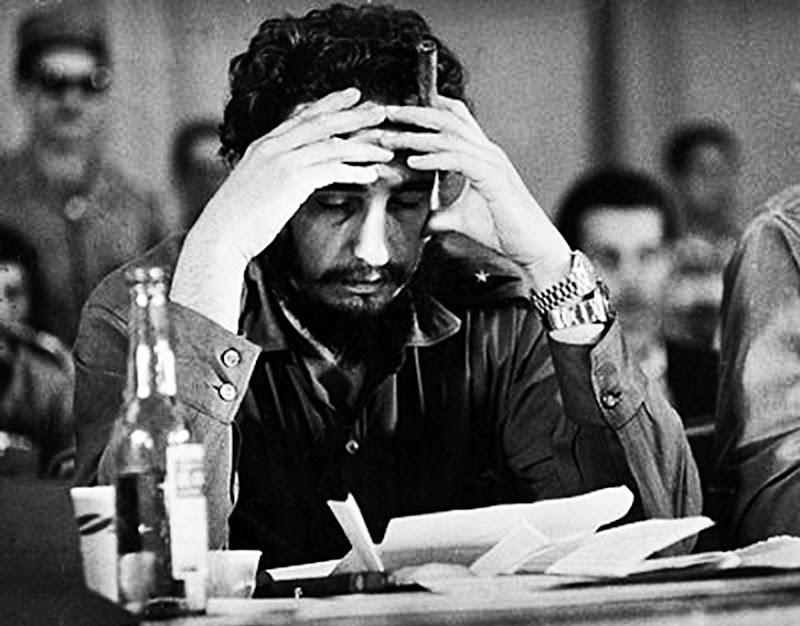 It is not clear what kind of presence Rolex had in Cuba before Castro overthrew Batista? 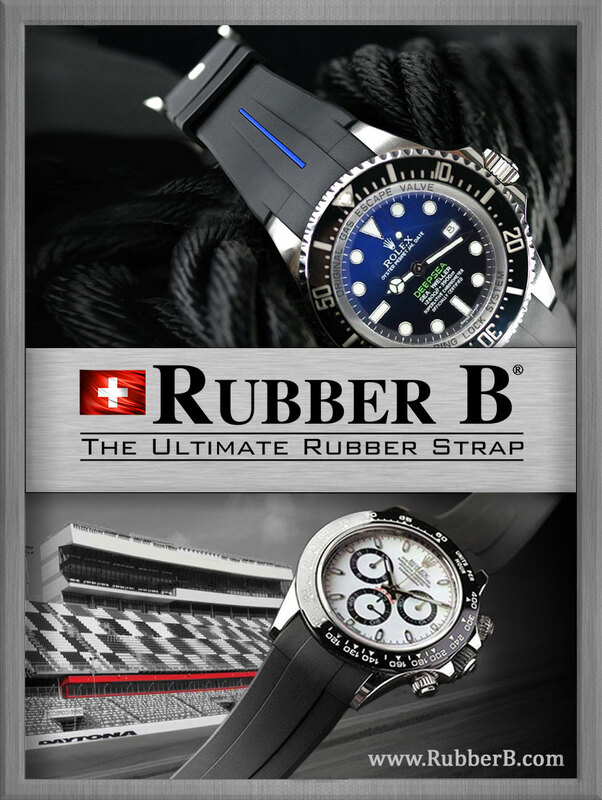 It could have been anything between having an AD, to having their South American headquarters. 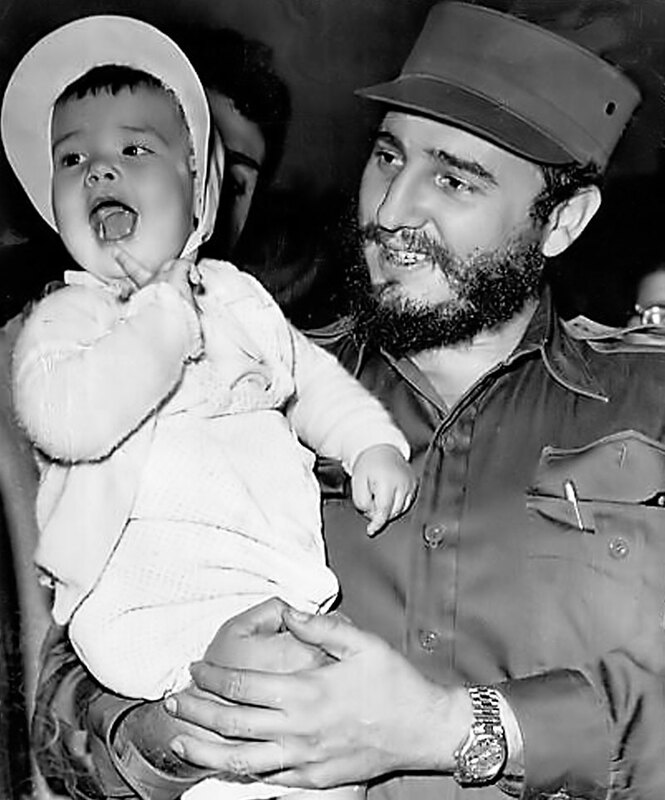 It has been suggested, Castro looted Rolex headquarters and confiscated all the Rolex watches, but I have never seen any direct proof of this. 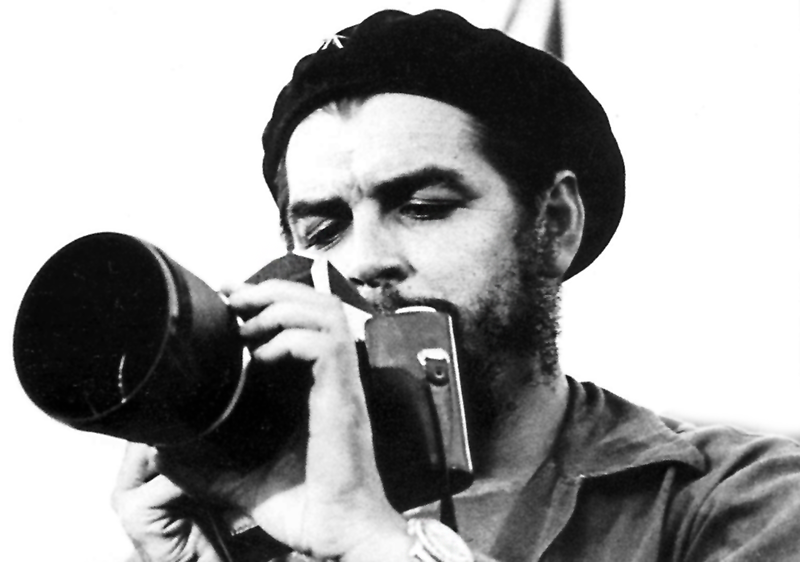 Communism for the masses. 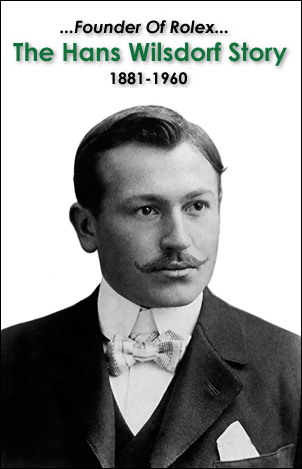 Capitalism for the bosses. 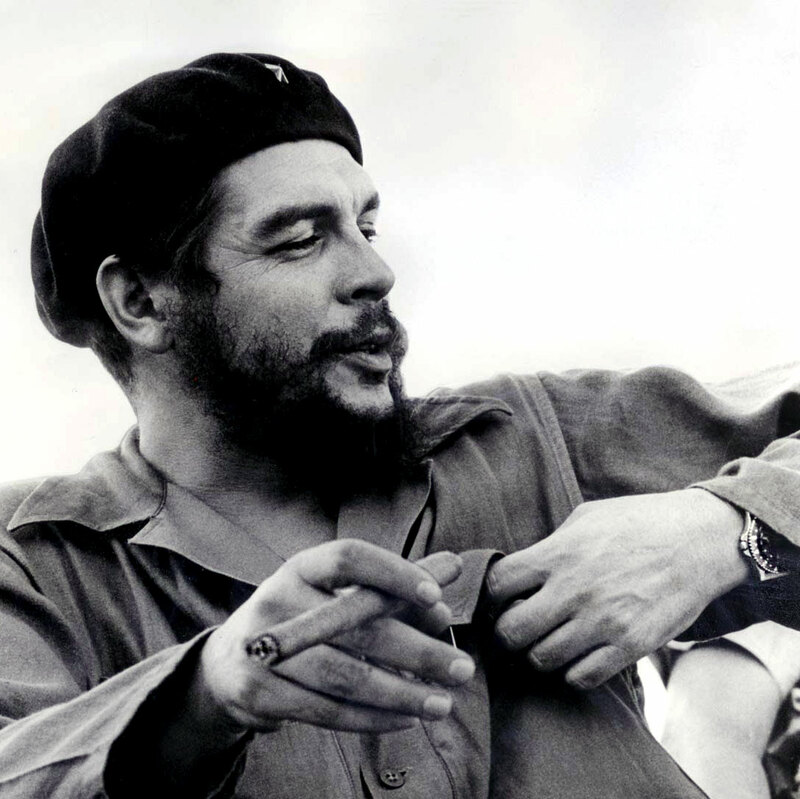 I kid around and say "Communism for the masses and capitalism for the bosses" but it makes sense that in 1959 and through the 1960s that Fidel Castro and Che Guevara wore their Rolex watches as sturdy tool watches, because they were precise timing instruments. 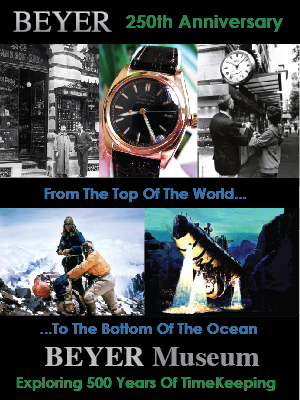 Remember this was before quartz watches. 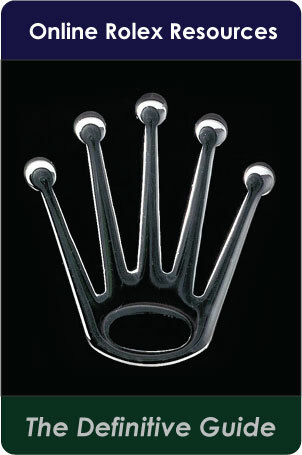 Also, in the early 1960s Rolex watches were not nearly as much of a status symbol or "Luxury Watch" as they are today. "I'm the one who is going to tell you how it is going to be!!!" 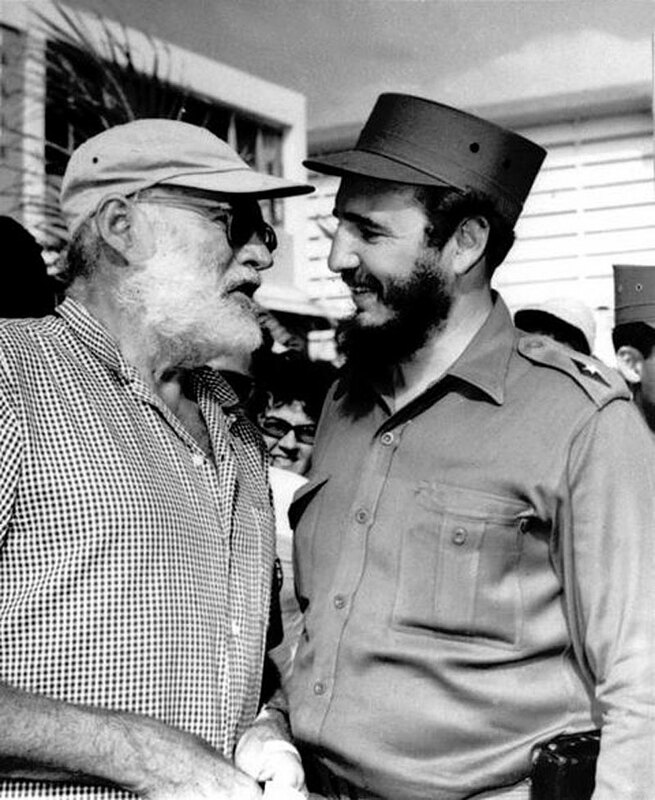 Below, is an interesting photo of Nobel Prize and Pulitzer Prize winning author, Ernest Hemingway, meeting with Fidel Castro in Cuba. 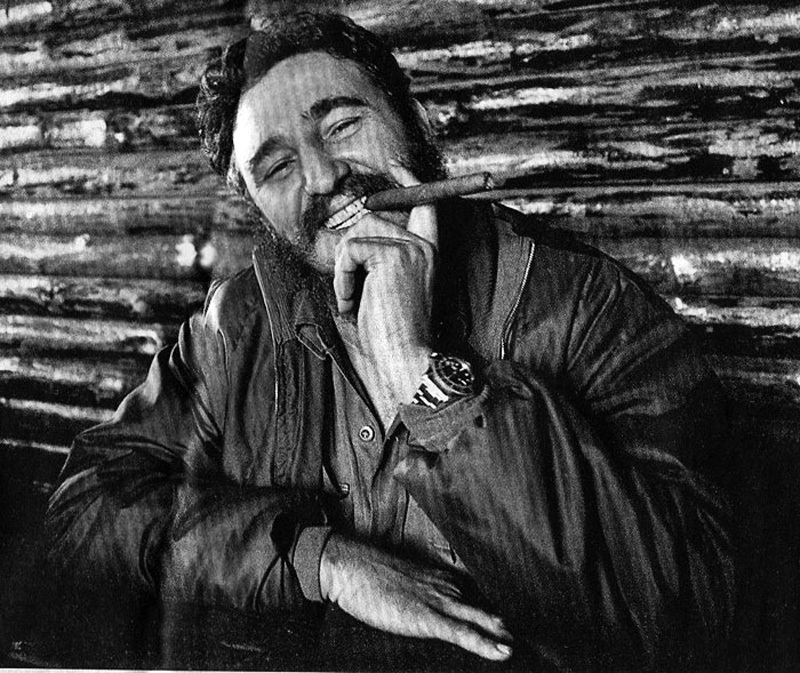 Hemingway lived in and had a home in Cuba from the 1930s to 1959. 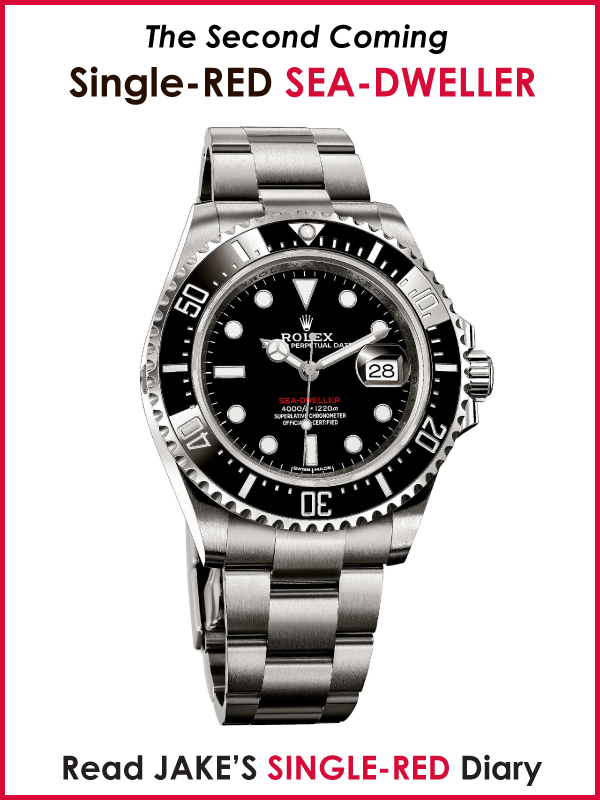 But my obvious question is, why wouldn't he just wear a GMT Master since it can keep time in two places? Maybe he was keeping time in 3 places!?! Maybe the dude is just confused!?! 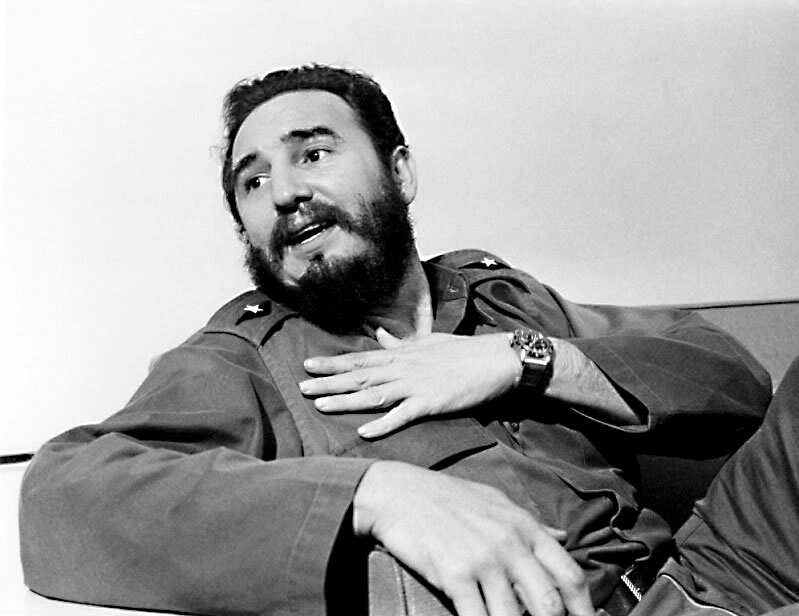 When I first noticed the fact Fidel Castro was regularly wearing two Rolex watches on his left wrist, I wondered why he would do such a thing? 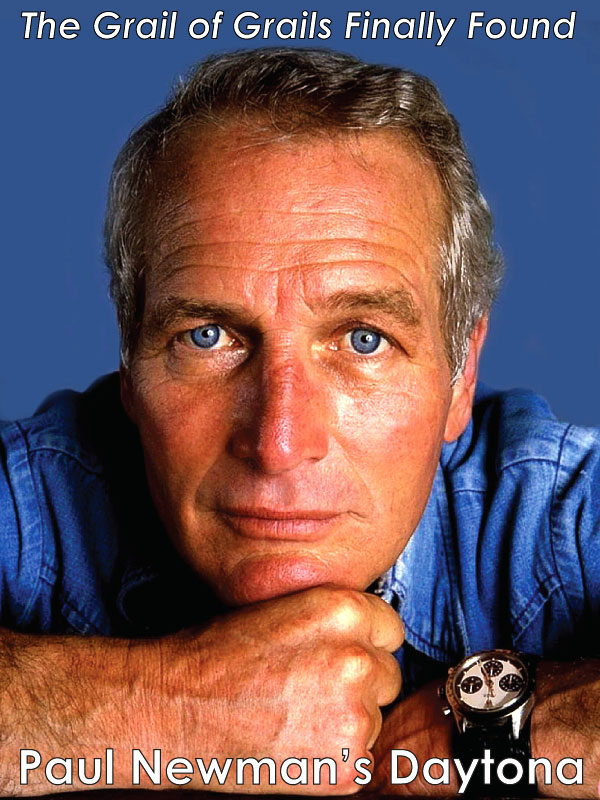 I think it was symbolic, because he wanted everybody to know he was keeping local time as well as the time at the Kremlin, in Moscow. 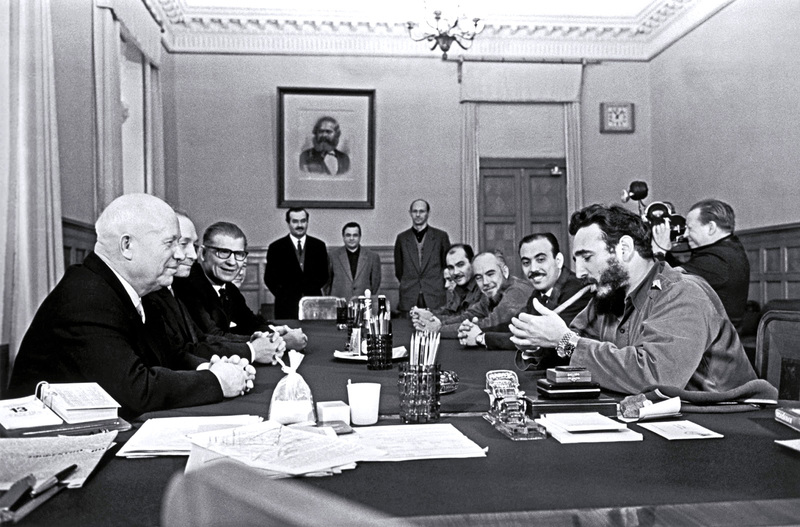 In the photos below, we see Castro meeting with Nikita Khruschev at the Kremlin. 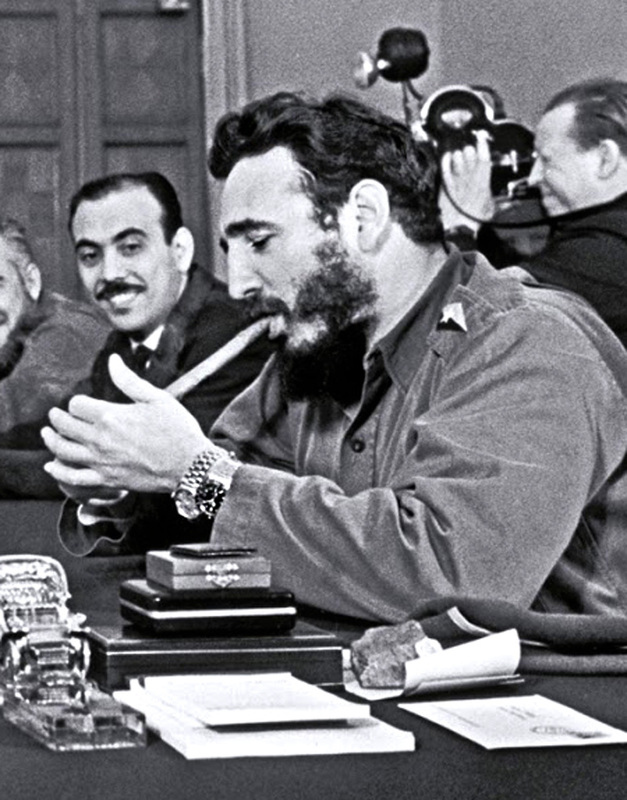 By the way, that is Karl Marx's portrait hanging on the wall, who was also a bearded fellow...It's kind of ironic Castro is smoking a Cuban Cigar and wearing two Rolex watches in the Kremlin while he chats with Khruschev, in front of a Karl Marx picture. The non-verbal body language in this photo is absolutely fascinating! 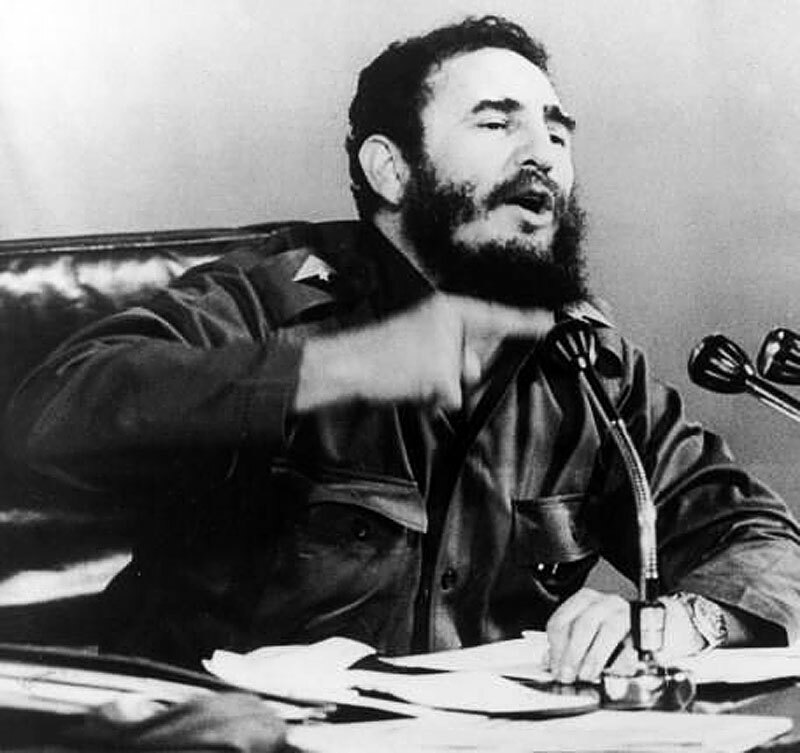 Notice everybody in the room is staring at Castro's cigar, and that everybody sitting is smiling with their hands folded in front of them on the table, and the three guys standing below the portrait of Marx, have their arms behind their backs. Communist President sounds like an oxymoron doesn't it? 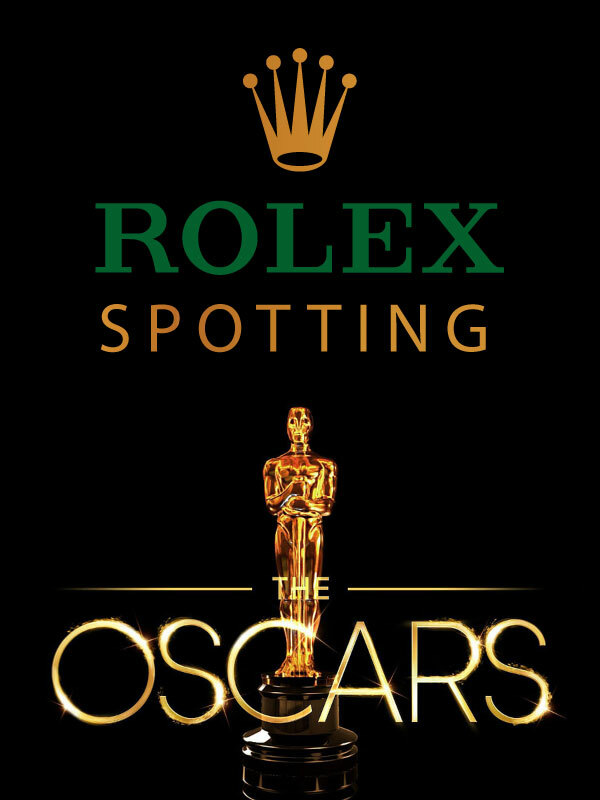 I imagine that the supreme irony is that Rolex also became The International Mark Of Success in the Communist world as well!!! 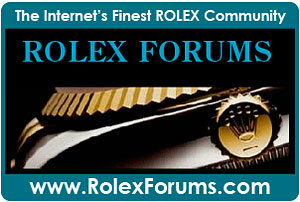 For instance, the father of the Chinese Communist Revolution Moa Zedong wore yellow gold Rolex watches!!! 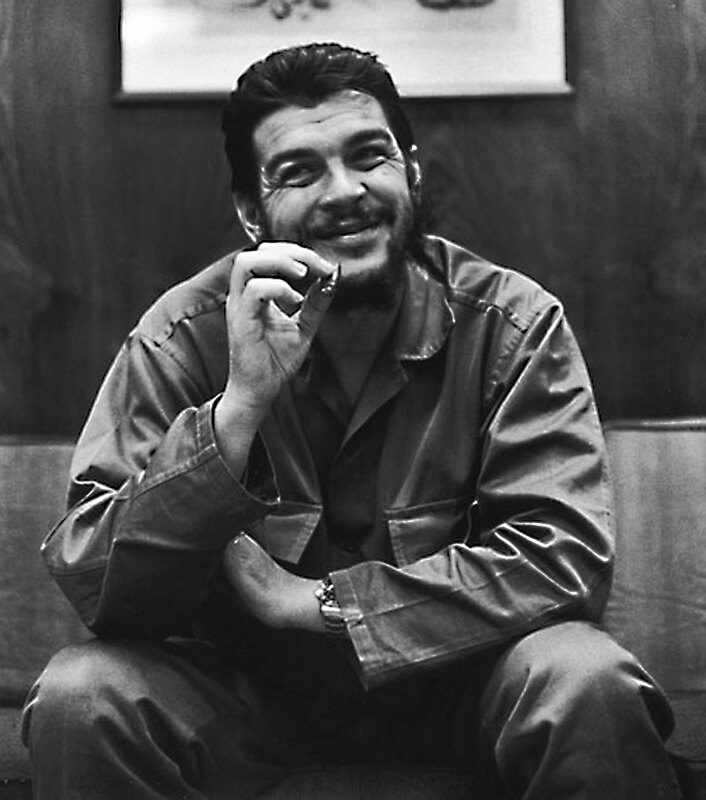 So did fellow Cuban revolutionary Che Guivara, and even Russian President Boris Yeltsin. 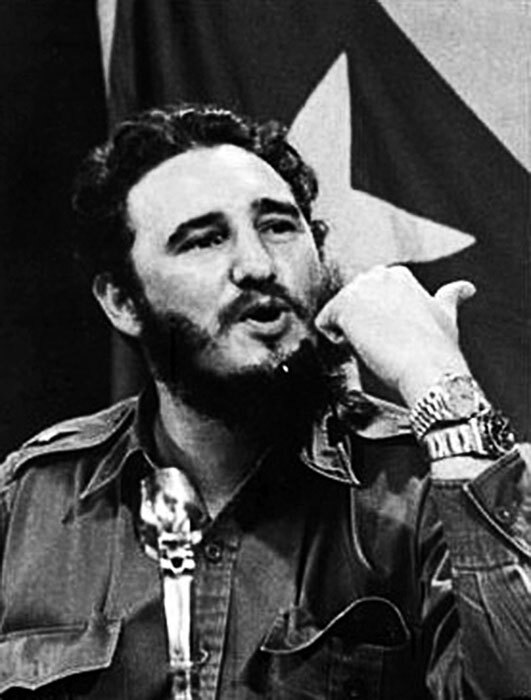 It appears that Fidel Casto is wearing a Rolex Datejust on a President bracelet in the photo below. I don't recall ever seeing this combo before, but I can't see the day wheel? 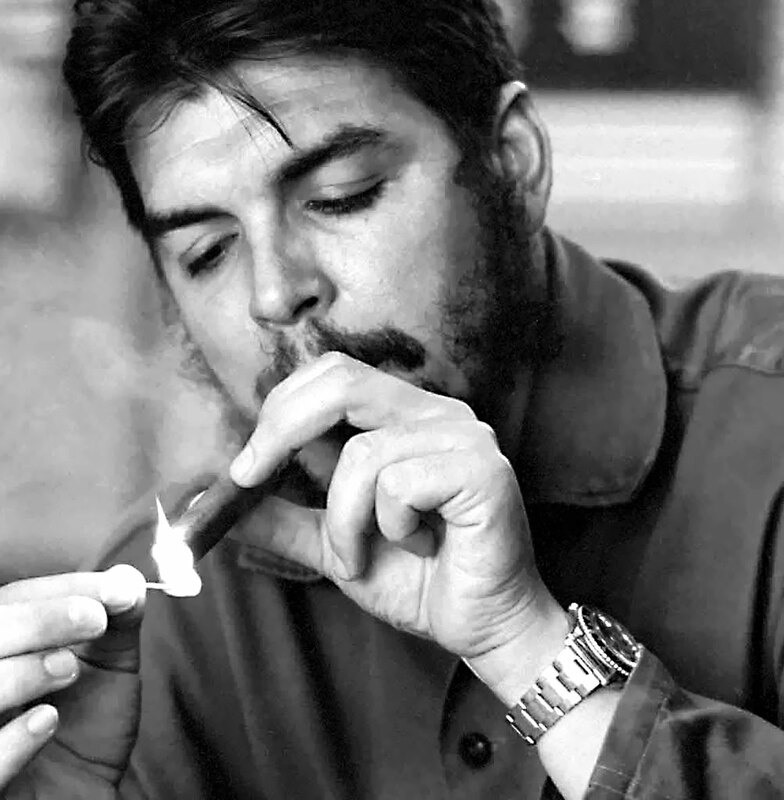 Smoking Cuban takes on a whole new meaning with this next image. What a life!!! 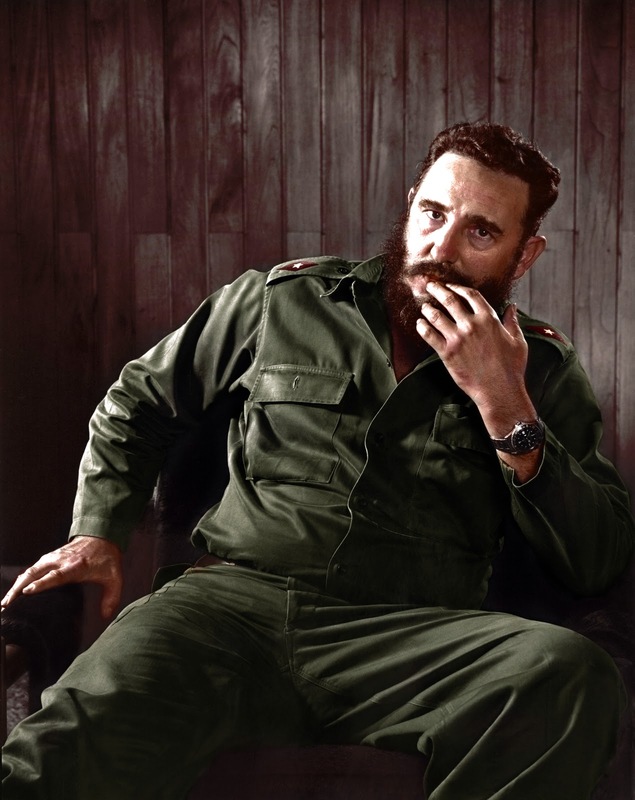 Hanging out as the King of Cuba, smoking the best Cuban cigars, having a harem of Rolex watches. Does not get much better than that. 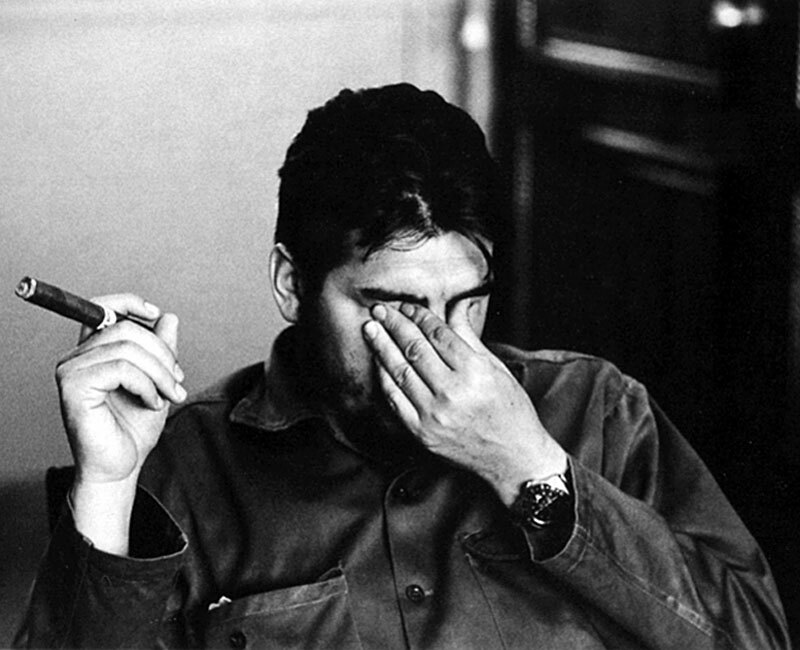 Communism for the masses, Capitalism for the Bosses. 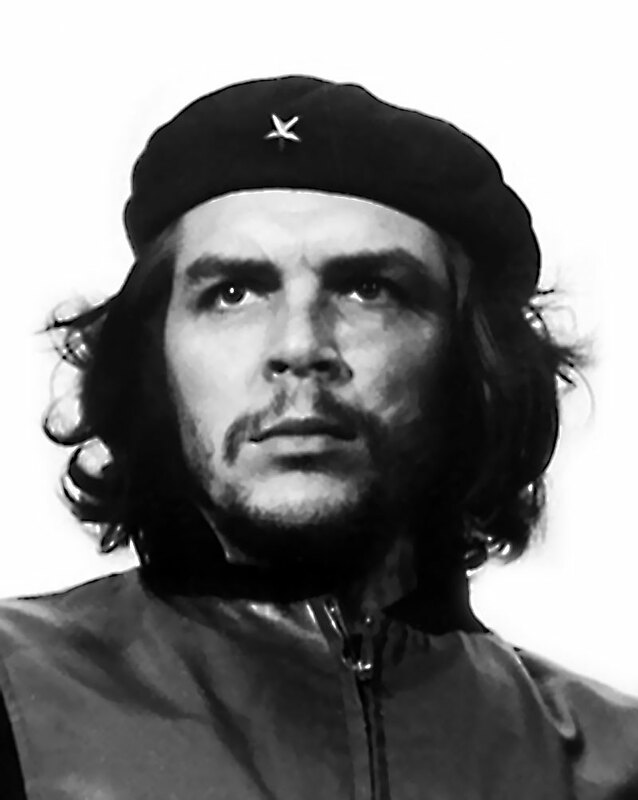 Viva La revolución!!! 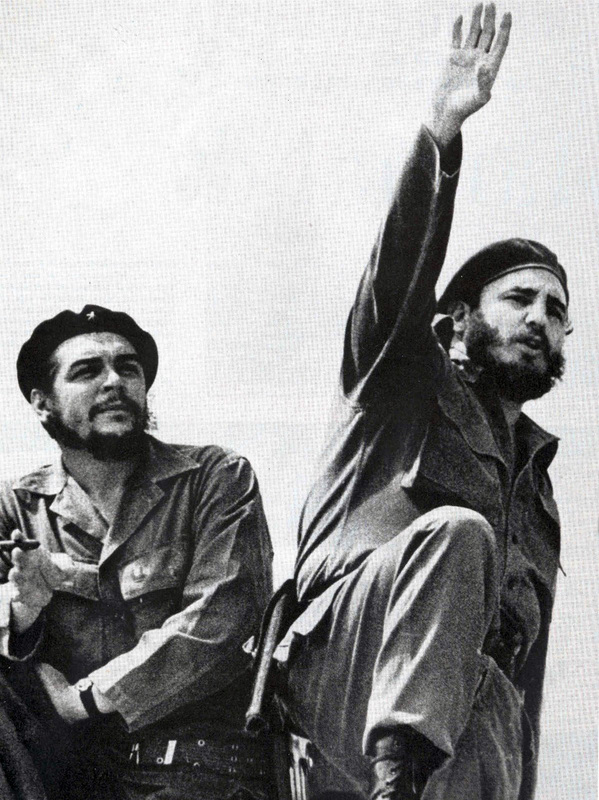 These two full-length documentaries offer a superb overview of the history of Fidel Castro, and the Cuban revolution. 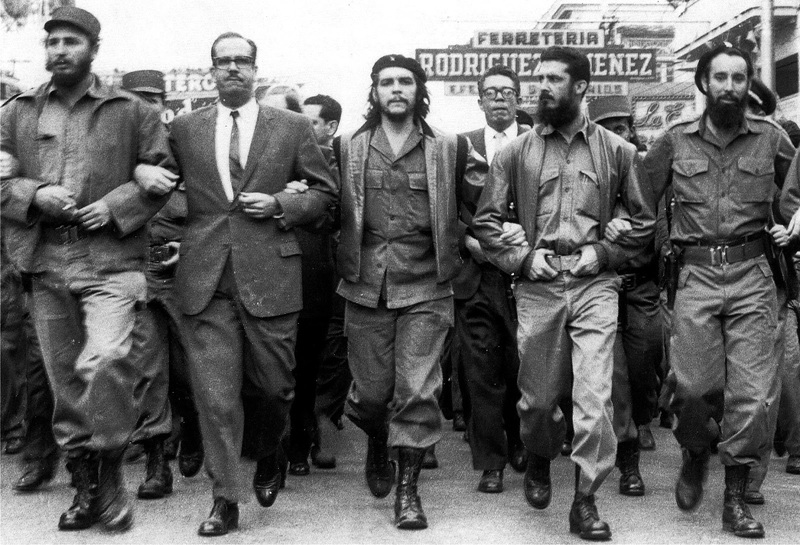 Che Guevara and Fidel Castro were fellow revolutionaries and long-time friends. 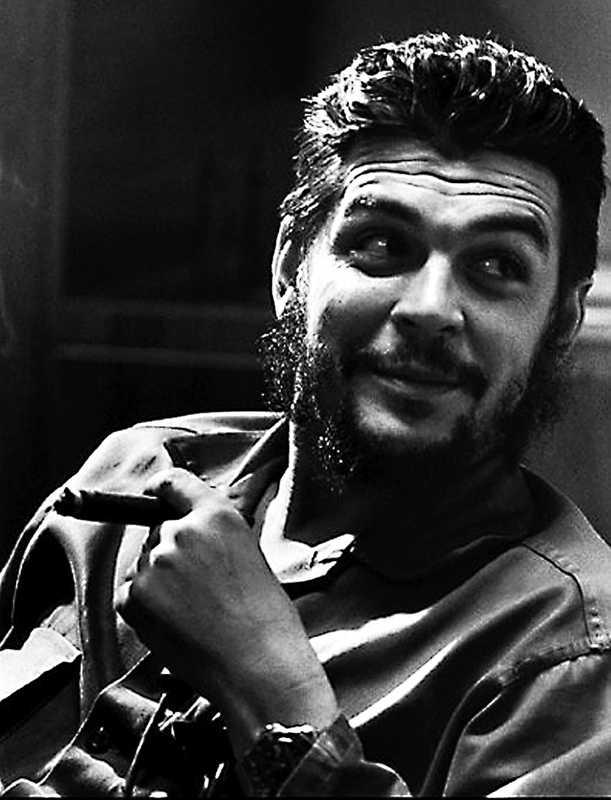 After the Cuban revolution Che became the economic controller of Cuba before he wandered off to Bolivia. 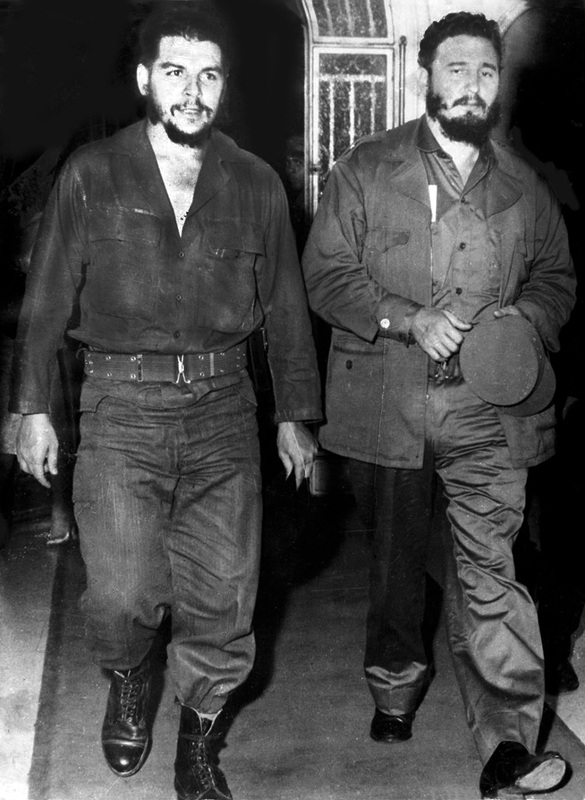 The photo below is the earliest known of Fidel Castro and Che Guevara together, and neither of them have what would later become their trademark beards. 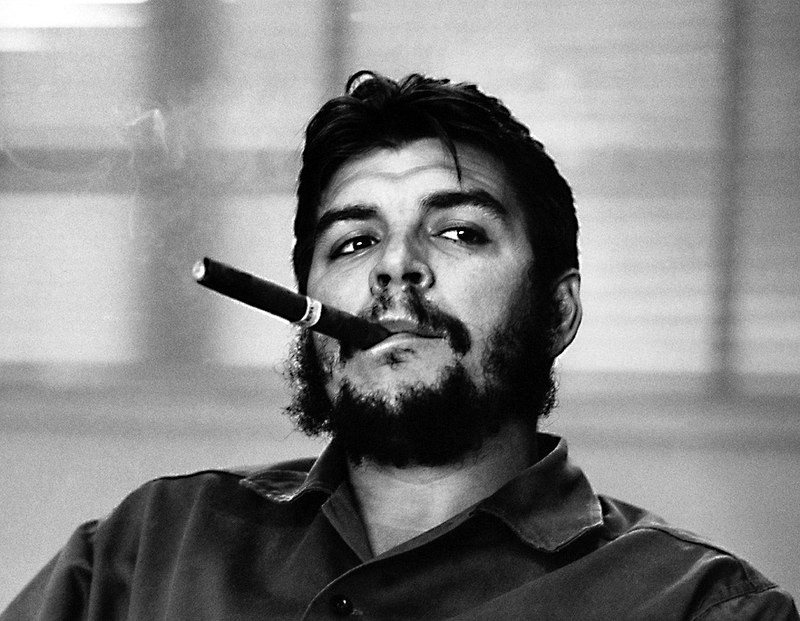 Fidel Castro was a lawyer, and Che Guevara was a doctor. Is Apple Really Working On An iWatch?